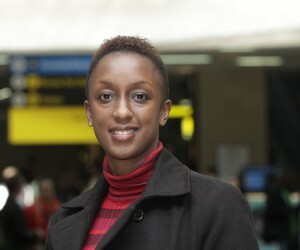 Veronica Shangali Aswan, founder of Wavunow.com, the e-commerce website that brings rural African crafters to the global community is one of the beneficiaries of the ITP. A recent 'international trade programme' trip sponsored by British Telecom global services and spearheaded by the Micro Enterprise Development Organisation (Medo), saw five of the eleven small business represented on its current programme sign deals or partnerships with stakeholders in the United Kingdom (and Europe). The remaining six entrepreneurs created networks with potential partners, with a long-term view for exponential business growth. The ITP aims to stimulate trade between South Africa and the UK, while fast tracking entrepreneurial businesses that are key to economic growth and job creation in this country. The selected entrepreneurs spent a week in the UK participating in training programmes, networking events and business and investor pitches and returned with good news they are sharing at feedback sessions. To facilitate this initiative, Medo partnered with British Telecom global services, to recruit 18 world-class entrepreneurs to its programme. “This programme is proof that we have moved from a South African business concentrating on compliance to one determined to make a contribution”, Keith Matthews, general manager – sub-Saharan Africa at BT global services. The programme included a boot camp session at Stellenbosch University, where the entrepreneurs were exposed to the executive development programme. “Our philosophy is to create an entrepreneurial ecosystem, where different role players come together to create the support networks and the mentoring needed to uplift entrepreneurs. "Here, the Medo entrepreneurs honed their business skills, including their business briefing and presentation skills, allowing them to develop the kind of defined business models that would impress businesses in the UK,” explains DeWet Schoeman, director at the centre for applied entrepreneurship, at USB-ED. Armed with their new skills, the Medo team jetted off to the UK for eight days of intensive trade talks, meetings and networking. “It was the opportunity of a lifetime. 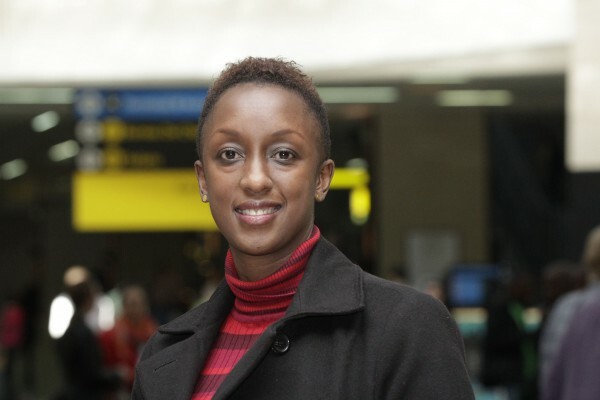 Medo gave us two days ahead of the trip, to set up our own meetings with potential partners in the UK,” explains Veronica Shangali Aswani, founder of Wavunow.com, the e-commerce website that brings rural African crafters to the global community. “All three of the meetings I set up – including one with Bloomberg – were a success, and I have verbal agreements with each of them for orders. "I am going to be liaising with them to ensure we produce items of the right standards for the European market, so Wavunow can meet their needs. "But I can say with certainty that we’re going to have many small industries develop out of these deals”. This was one of Medo’s biggest goals in creating this programme – job creation and skills development. “One of the selection criteria for the entrepreneurs is that they want to engage in the formal economy to create more jobs. "And we believe the programme has taught them the value of development, both for themselves and for their staff,” says Judi Sandrock, co-founder and joint CEO of Medo. For Dean Thompson, owner of Inferno Films (a corporate and marketing video production company), the trip put his wildest dreams very much within his grasp. “Doing business with global partners was part of my long-term strategy. "And this trip totally re-aligned that strategy. "I entered into an agreement with Jacaranda, the biggest corporate video production company in the UK, to shoot local footage for their clients. "It made me realise that, if I can secure a partner in the UK, there’s nothing stopping me finding partners around the world. "After all, the world is receptive to business in South Africa – they want to get into our market,” he says. “And it’s exhilarating,” says Raphael Mohlala, one half of the team behind Phakamo Holdings, an IT enterprise architecture management and governance service provider. “Medo fast-tracked our goal to become partners, and not just users of global IT brands. "We signed two deals, with Alfresco and Masabi technologies, to become their representatives in South Africa and in Africa. "Alfresco has already invited us to a summit in Barcelona later this year, to discuss the impact technology is having in Europe and the US”. For Medo, the end of the trip doesn’t signal the end of its ties with these entrepreneurs. It is the start of on-going development and coaching, as it drives these small business owners toward their goals of business growth and success, through regular management skills development and further education. In an exciting addition to the feedback given by the entrepreneurs, Medo also announced that BT will be sponsoring another ITP to the UK in November 2013. This means that applications are now open for entrepreneurs to apply to join the next 'international trade programme'.